The day I went out to shoot the black and white film – specifically, Ilford HP5 – I also went out with colored filters, to see how they would affect things. Well, I forget what order I did what in, so . . . that was a bust! Still, there are some nice pictures in the lot. I am not sure if I like Ilford HP5 – perhaps to grainy for my taste, and perhaps too contrasty. Nonetheless, I am super pleased with the results of the processing, and the results of scanning in the Pakon 135 scanner. Also, I thought I had used the Werra, but thinking back, I used the Nikon FM2n with the 50mm f1.4 ais lens. The day was bright and sunny. 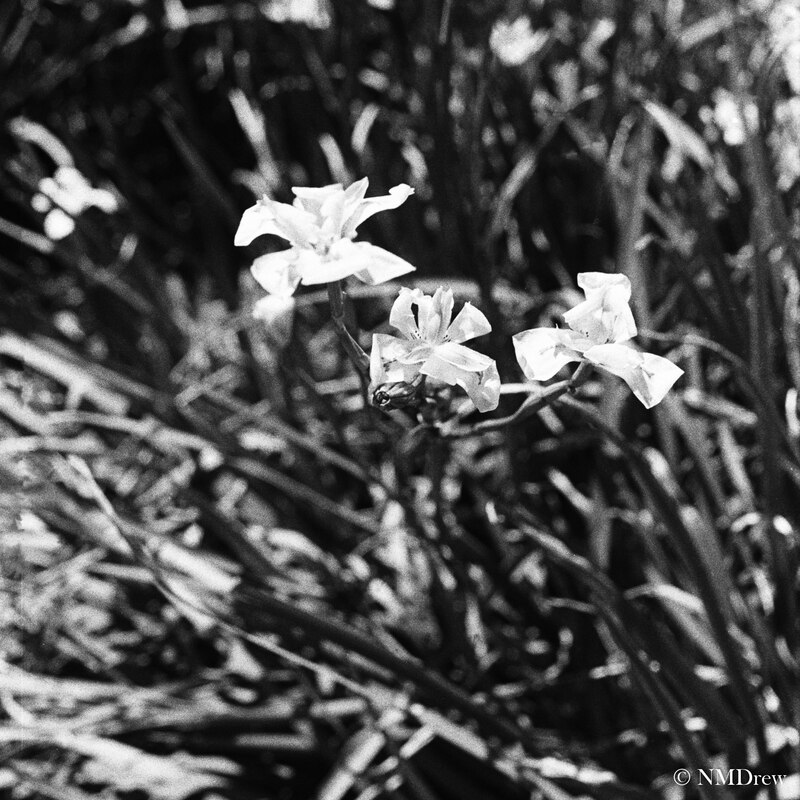 This entry was posted in Glimpses and tagged "photography", black, film, home developing, Ilford HP5, Nikon 50mm f1.4 ais, Nikon FM2N, Pakon 135, saber lily, white. Bookmark the permalink. Thanks! The Pakon scanner is what makes it – without it, I probably wouldn’t have started processing my own film.